The Peruvian driver Nicolás Fuchs started his second adventure in the Dakar Rally. 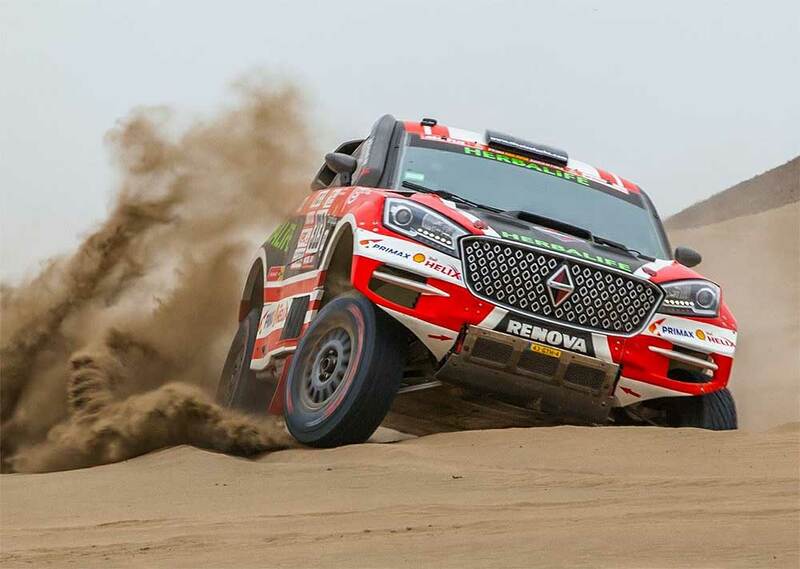 On board his new prototype BX7DKR of Borgward powered by the Dutch team Wever Sport, he reached the third position in the first stage in Pisco with his co-pilot Fernando Mussano with a time of 22:25 minutes, just 34 seconds behind the leader of the stage, Qatari Nasser Al-Attiyah (Toyota Hilux). "I had never started in such an important race in my country, I'm happy about that," Fuchs said after the stage. "There is a lot of pressure, but it makes me happy to be here with all the drivers and to do what I can for good competition. It has been a hard year in the development of the car, it is incredible and now we are going through the dunes of Peru!" Fuchs received standing ovations from the audience and the support of Peru´s President Pedro Pablo Kuczynski, who greeted him and wished him success in the race. The delegation of Peruvian competitors, with Fuchs in the lead, hopes to fulfill a great performance in the most extreme marathonrally. Fuchs contested the Dakar Rally for the first time in 2017 and finished 12th of the car category. The car was partly the same: Because Borgward has no own real rallycar yet, Wevers Sport took two of their former Mitsubishi Racing Lancer (which they remade as Ford HRX before) and remade them in the design and badge of Borgward. The German-Chinese car-manufaturer will have it´s premiere in parts of South America this year. The second Borgward BX7DKR is piloted by Team-Manager Erik Wevers himself as backup for Fuchs, he finished 27th on Saturday.